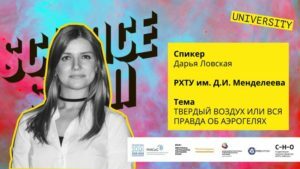 All Russian Science Slam University was held on 5th October 2018 in Moscow. Young scientists from Petersburg, Vladivostok, Tomsk and Moscow took part in this event. They were chosen from every Russian University. 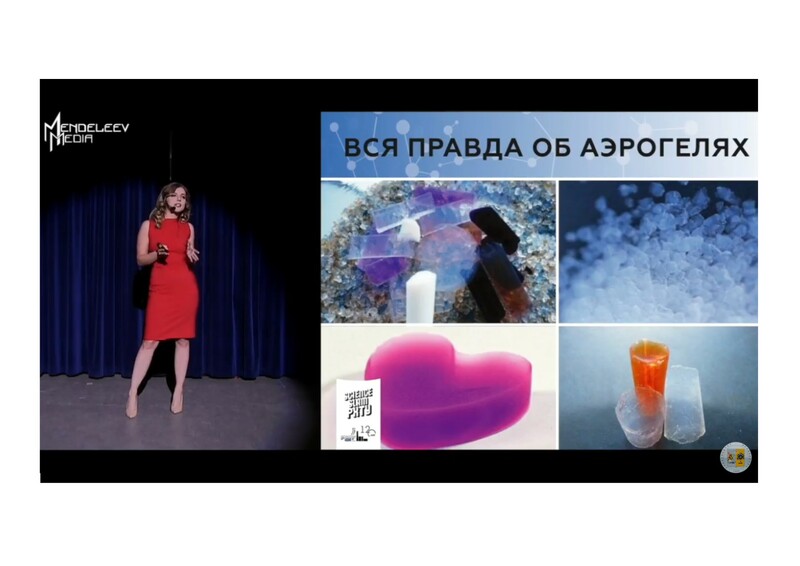 Daria Lovskaya, PhD, from MUCTR present a topic “Solid air or all truth about aerogel”. She speaks about aerogels, its wonderful properties and applications in pharma and medicine. She charged the entire audience and invited each person to do science for making this world better! 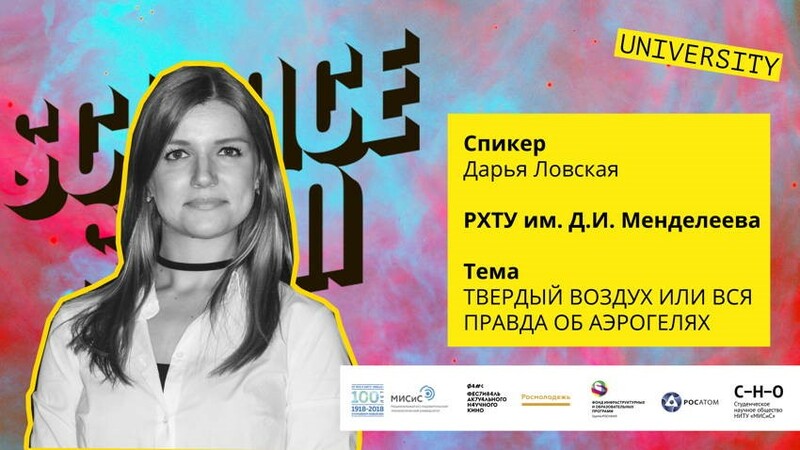 After irreconcilable competition Daria became a winner in All Russian Science Slam University! Congratulations to her! Thanks to her, aerogels have become a little closer to a well-known product for the public.